Jump start your resolutions with a self-care vacation in Abingdon. After the over-indulgence of the holidays, nourish your mind, body and soul with a winter escape to Abingdon, VA. This Blue Ridge Mountain town offers the perfect mix of music, wellness, and wilderness therapy to start the new year on the right foot. 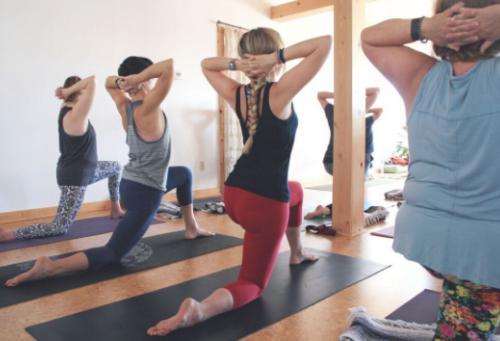 Refresh and recharge with restorative yoga at Whitetop Yoga Studio in Abingdon, VA. Check in to one of Abingdon’s convenient hotels or vacation rentals, and relax into Abingdon’s small-town charms with a walk through the 200-year-old historic district. 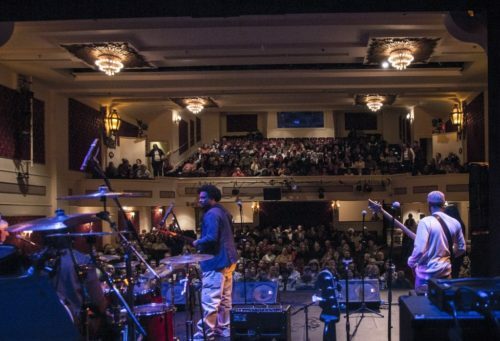 Feed your soul with live music at January Jams at Barter Theatre, offering concerts from Grammy Award winning and Hall of Fame artists. This gorgeous 1930s-era theatre only seats 500, so every seat in the house is up close and intimate. After the show, grab a late-night meal at Rain, where you’ll find creative entrees and a sophisticated cocktail menu. Take part in some wilderness therapy with a winter hike at Grayson Highlands State Park. Low humidity and lack of foliage mean you can get absolutely unparalleled views of Mount Rogers and Whitetop Mountain, the two tallest peaks in Virginia. Grayson Highlands’ famous wild ponies can be found roaming the snowy balds, and bonus, January is the best month for taking advantage of the world-class bouldering available at the park. After your hike, recuperate with a visit to Salt of the Earth. Salt Therapy aka halotherapy is a powerful, natural treatment in a controlled air environment that simulates a natural salt cave microclimate. Salt of the Earth also offers an infrared sauna, red light therapy and massage. Eat dinner at White Birch Food & Juice, where you can indulge without guilt, while enjoying the live music on Friday and Saturday nights. Try a cold-pressed juice cocktail, like the Winter Sangria, featuring apple, pomegranate, and cranberry juices, blended with mulling spice and pinot noir. 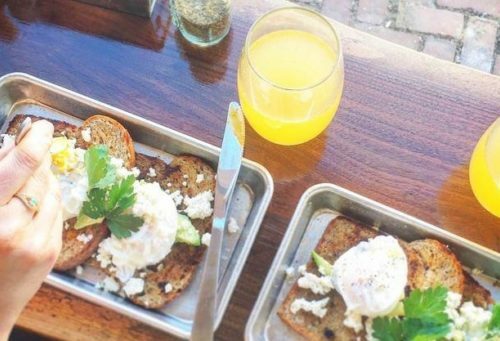 Nourish your body and the earth with a leisurely farm-to-table brunch at The Harvest Table. This pioneer of sustainable dining was founded by Barbara Kingsolver and Stephen Hopp, bestselling authors of Animal, Vegetable, Miracle. After brunch, head to Whitetop Yoga for a restorative practice that will leave you energized and centered. Before you leave town, browse the CBD oil products at Grounded on Main; these all-natural products are a safe, gentle alternative to traditional medications, with zero residual THC. After three days in Abingdon, you’ll leave refreshed and relaxed.